If you haven’t heard about neurological inflammation, you will be hearing about it — SOON. New, groundbreaking studies are showing neurological inflammation can be the leading cause of most of the mental and physical symptoms of aging. These symptoms include memory problems, brain fog, fatigue, trouble concentrating. Sound familiar? But that’s not all. This previously unknown condition may also be the underlying cause of many serious diseases, such as type 2 diabetes and heart disease. If you think those are a lot of terrible health effects for a new condition that not too many people have heard about, you would be right and wrong. You are right that those are a lot of terrible health effects, but you are incorrect in assuming neurological inflammation is new. Unfortunately, this condition has been around for a long time, but nobody knew about it. Neurological Inflammation: What is It? Neurological inflammation is a condition in which the brain is inflamed. What makes this condition so unusual is that unlike the rest of the body, inflammation is not supposed to occur in the brain. There are two types of inflammation, acute and chronic. Inflammation itself is not bad. It is the body’s first response to a foreign invader, such as bacteria, pathogens, or toxins. It also occurs whenever there is an injury to the tissues. Immediately upon such an invasion, the tissues release chemicals that cause swelling, warmth, redness, pain, and immobility. The swelling is to trap the foreign invaders so that they don’t infect other tissues. The warmth and pain come from increased blood flow to the area, blood which brings immune cells (white blood cells) in to fight infection and heal any damage. Immobility is the result of the inflammation. If the wound or infection is deep within the body, you probably will not feel any of these symptoms of inflammation. But they are still occurring. This is how your immune system fights infection. If not for the inflammatory response, you wouldn’t survive an injury or illness. This is called acute inflammation because it is of short duration and recent onset. Once the foreign invaders are destroyed and the healing is sufficiently underway, the inflammation recedes. Chronic inflammation is an entirely different matter. With chronic inflammation, the immune system mistakenly targets a substance as a threat and reacts accordingly. This happens when tissues are in distress and release inflammation-causing chemicals. The immune system sends white blood cells out to fight something that, it turns out, is not something we would consider a threat. (It could be ingredients in our diet, for instance.) These cells end up attacking and destroying healthy tissue. Those tissues trigger inflammation, which causes the immune system to send more white blood cells. The inflammation doesn’t recede. Many researchers now believe chronic inflammation to be the root cause of most health conditions and diseases. But all of what you have just read is not supposed to apply to the brain because the brain is protected by the blood-brain barrier. If the blood-brain barrier is compromised, however, harmful substances can enter the brain’s fragile environment. Doctor’s call this “leaky brain syndrome,” and once these substances enter the brain’s environment, they activate what are called microglia cells that cause inflammation. There is a reason the brain is protected by the blood-brain barrier instead of the inflammatory response. 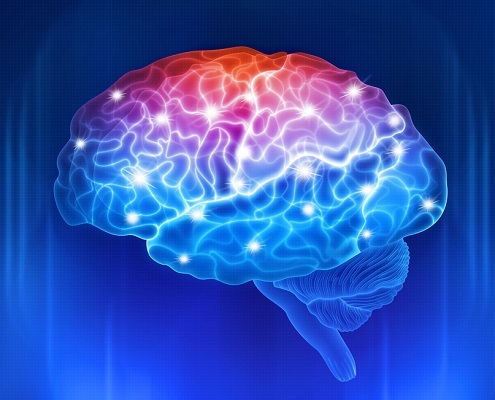 The brain is a very sensitive organ that affects everything in the body. Just a little inflammation can cause huge problems. And that’s exactly what is happening to millions of people. This inflammatory response shuts down energy production in your cells, causing the neurons to fire more slowly. The result? Mental fatigue. Difficulty concentrating. But it extends further than mental ability. When the firing of neurons slows down, it gradually breaks down every system in the body. The resulting confusion, depression, inability to concentrate, and other symptoms are often considered to be just a normal part of life. Some people consider it a normal part of aging, and they need to get used to it because there’s nothing they can do about it. But nothing could be further from the truth. There is a lot you can do about neurological inflammation, starting with nutrition. But before we discuss a nutritional treatment for neurological inflammation, let’s discuss the 5 main symptoms of this condition. Because the brain affects every function of the body, the symptoms are varied. Here are the 5 main types of symptoms for neurological inflammation. Though we might think weight gain begins with our digestive system, it actually begins in the brain. To be more specific, it begins with inflammation of the hypothalamus in the brain, which causes hormonal dysregulation. The hypothalamus located in the center of the brain balances calories in and calories out so that you never become too fat or too thin. When calories intake increases, you simply burn more calories. Your weight balances around your low setpoint weight. But do you notice how most people gain weight as they get older? That’s because this fine balance is upset, and the body is getting the wrong message from the brain and the hormones. This is because the body’s setpoint weight — that range of around 15 pounds that your hypothalamus and hormones work to keep your weight within — has been increased. What is the reason for this increase? Neurological inflammation. When the hypothalamus is inflamed, it cannot receive proper signals from the hormones, so it doesn’t know how much fat you need. The brain and hormones then work to hold onto extra fat. 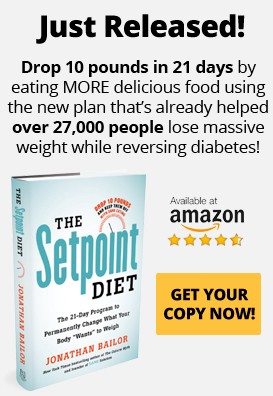 The result is an elevated setpoint weight, and because neurological inflammation caused this problem, it will be almost impossible for you to lose extra weight until this inflammation is healed. As you might expect, cognitive orders are also prime symptoms of neurological inflammation. Cutting-edge research studies show inflammation in the brain plays a role in cognitive disorders, such as dementia and Alzheimer’s disease. One study published in the Journal of Neuroscience stated indicates that neurological inflammation can be the root cause of so many issues people experience with their memories. Just think about it for a minute…Brain fog. Lack of concentration. Inability to focus. Forgetfulness. All could be signs not of aging but of neurological inflammation. Neurological inflammation even impacts physical health. A study from the Department of Molecular Pharmacology at Albert Einstein College found that an inflamed brain is causing some aspects of metabolic syndrome. Metabolic syndrome is a collection of 4 symptoms — high blood pressure, high blood sugar, excess belly fat, and abnormal cholesterol or triglyceride levels — occurring together that increase the risk of heart disease, stroke, and diabetes. Specifically, studies show neurological inflammation may contribute to insulin resistance and hypertension (high blood pressure), both of which increase the risk of the above-mentioned diseases. Studies also show brain inflammation plays a role in mood disorders, such as anxiety, depression, and mood swings. One 2017 study published in Nephrology Journal, for instance, showed a correlation between levels of brain inflammation and levels of anxiety and depression. Those with higher levels of brain inflammation had similar levels of anxiety and depression. How significant of a finding is this? Well…considering that anxiety disorders affect 40 million adults and major depressive disorders affect more than 16 million adults in the U.S. every year, finding a potential cause is a very big deal. If neurological inflammation is the major cause of these mood disorders, we have an easy solution for it. This condition can be cured, which will end the suffering of millions of people. Many people complain of fatigue these days. They say that no matter how much they sleep, they never feel rested. They don’t just feel tired, either. These individuals feel totally drained, with no energy. Fatigue is a common symptom of inflammatory diseases, such as rheumatoid arthritis, and now research is showing neurological inflammation can also cause low energy or fatigue. Millions of people suffer from extreme fatigue without a known medical cause. Neurological inflammation may be the answer they’ve been looking for. Now that you know the symptoms, let’s discuss 2 of the most common causes of leaky brain syndrome. The Standard American Diet. Eating a steady diet of carbs, sugars, processed fats, and heavily processed foods have been shown to damage the blood-brain barrier leading to brain inflammation. Chronically low levels of brain-boosting nutrients. Most people are chronically low on 4 nutrients, either because their bodies cannot absorb a particular nutrient or they are not getting enough through their diet. These nutrients are folate, citicoline, L-carnitine, and CoQ10. Research shows without adequate levels of these nutrients, it is impossible to reach optimal brain health. Though the symptoms of neurological inflammation may be scary, healing this condition is neither scary nor difficult. Here are some dietary tips that will help heal or prevent neurological inflammation. Heavily Processed Foods: If the label lists more than 4 or 5 ingredients, pass. It is heavily processed, meaning it contains chemicals that will damage your blood-brain barrier. Sugars: Studies show sugar promotes systemic inflammation, which includes the brain. Whole Foods: Choose foods as close to their natural states as possible. Try to select non-starchy vegetables you could have picked or meats you could have hunted. Fresh or frozen are okay as long as they don’t contain inflammatory food ingredients, such as added sugars, or chemicals. Home Cooked Meals: Preparing your meals at home is one of the best ways to ensure you are eating the best foods for your health and the health of your brain. SANE Foods: These foods contain water, fiber, and protein that keep blood sugar levels stable and inflammation down. Nutrition is one of the best ways to prevent or cure neurological inflammation. With the SANE Diet, you’ll eat delicious real foods that fill you up fast and keep you full for hours. No hunger and no deprivation. The eating plan is super easy to remember and implement, too. Here are the 4 food groups, from which you can choose any food within that category. Try to eat the first three food groups together at each main meal. Fill half your plate with non-starchy vegetables at each main meal, or prepare delicious green smoothies. Fill a third of your plate with nutrient-dense proteins. Fill the remainder of your plate with whole-food fats. Feel free to enjoy a serving of low-fructose fruit any time, up to 3 servings per day. SANE Vitaae is the first ever clinically proven formula to heal neurological inflammation along with brain fog, forgetfulness, and other symptoms it causes. SANE Vitaae includes the 4 brain-boosting nutrients of which most people are deficient — folate, citicoline, L-carnitine, and CoQ10 — in the proper dosages. This formula also ensures these essential brain-boosting nutrients are absorbable and bioavailable. This formulation will not only help heal brain inflammation, it will also help improve concentration, mental clarity, mood, and much more. Taking SANE Vitaae and eating SANE foods are easy, enjoyable ways to heal brain inflammation. Try it and see!